Category 5 Enhanced 350mhz Patch Cord w/o Boots - 14FT Blue. ENET Category 5 high-speed network cables are designed to carry increased bandwidth for voice, video, and mission-critical data transference. Every cable meets TIA/EIA Compliance for reduced loss and impedance. Each cable is constructed from high-grade copper cable for maximum bandwidth and reliability. 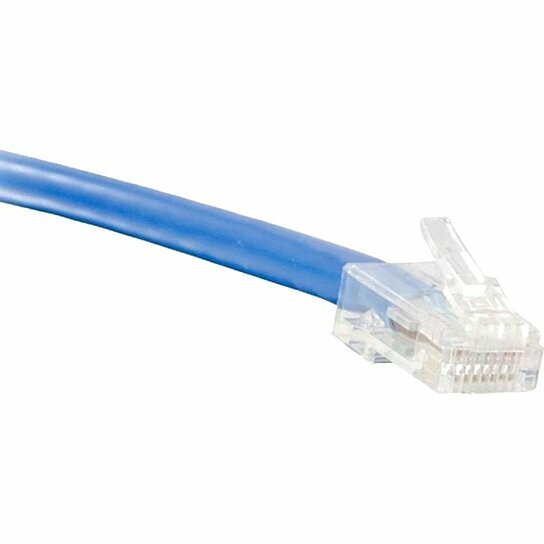 ENET Cat5e and Cat6 cables are available in a variety of colors.